Mr. Dejian Liu, Chairman of NetDragon, commented: "2018 was a record year for NetDragon, as both our revenue and operating profit reached record-highs. We recorded revenue of RMB5,037.5 million, up 30.2% year-over-year, and operating profit of RMB526.4 million, versus operating loss of RMB30.0 million in 2017. In addition, we generated cash inflows from operations of RMB694.1 million, up 105.9% year-over-year. These remarkable numbers were underpinned by our strong execution in both gaming and education segments." "Our gaming business revenue grew by 41.5% year-over-year to a record-high RMB2,367.4 million in the year. Mobile games remained a major growth driver, with 49.3% year-over-year growth in revenue. In terms of new games development, several new games in our pipeline have recently obtained license approvals, and we are optimistic that the industry's licensing will continue. On the other hand, we will continue to execute our strategy to maximize IP values, and we are also looking to accelerate our growth further by expanding our IP portfolio, both organically and by working with different partners." "We are also excited by the exceptional growth of our education business. In overseas, adoption of our interactive learning technologies continued to expand rapidly in both developed and emerging countries. As a result, Promethean strengthened its global market leadership in K-12 interactive learning technologies during the year with number-one market share in major markets including the U.S. and vast majority of the EU countries. We are also pleased to complete the acquisition of Edmodo in May 2018. With Edmodo joining our family, we are in a unique position to offer a complete product portfolio that covers pre-class, in-class and after-class learning environments, anywhere and at any time. More importantly, our online community has accumulated more than 100 million of registered users to date, which will enable us to accelerate user monetization." "In China, we remained focused to drive adoption of our software platforms. As at the end of 2018, the installed base of our flagship platform 101 Education PPT in China was 5.0 million, as compared to 1.2 million as at the end of 2017, covering all 34 provinces and cities across China." - Revenue was RMB5,037.5 million, representing a 30.2% increase year-over-year. - Revenue from the gaming business was RMB2,367.4 million, representing 47.0% of the Company's total revenue, registered a 41.5% increase year-over-year. - Revenue from the education business was RMB2,565.6 million, representing 50.9% of the Company's total revenue, registered a 21.9% increase year-over-year. - Gross profit was RMB3,047.2 million, representing a 39.8% increase year-over-year. - Core segmental profit from the games business was RMB1,299.9 million, representing a 92.5% increase year-over-year. - Core segmental loss2 from the education business was RMB420.7 million, representing a 0.6% decrease year-over-year. - Non-GAAP operating profit was RMB651.8 million, representing a 853.8% increase year-over-year. - Profit attributable to owners of the Company was RMB545.6 million, compared to loss attributable to owners of the Company of RMB20.8 million for last year. - Non-GAAP profit attributable to owners of the Company3 was RMB625.9 million, representing a 768.7% increase year-over-year. - The Board of Directors proposed a final dividend of HK$0.15 per share (2017: HK$0.10 per share), subject to approval by shareholders at the coming Annual General Meeting. Our gaming business revenue grew by 41.5% year-over-year to a record-high RMB2,367.4 million. As a result of strong top line growth combined with operating leverage, gaming's core segmental profit jumped by 92.5% year-over-year. PC games recorded 39.8% year-over-year revenue growth to RMB1,915.0 million. The number set a new historical-high over our 20 years of operating history. On the other hand, mobile games registered strong revenue growth of 49.3% year-over-year to RMB452.4 million. In particular, the combined monthly gross billings of Eudemons Online Pocket Version and Eudemons Online Mobile averaged RMB100 million during the second half of the year. During the year, we also focused on enhancing user experience by introducing new expansion packs, content updates and game features. As such, our ARPU surged by 64.8% year-over-year to RMB665. Looking forward, we will continue to drive growth by maximizing our IP values with new games and game-play features, as well as expanding our IP portfolio via self-development and partnerships. Finally, we are in a good position to launch a number of new games in 2019 as several new games in our pipeline have recently obtained license approvals, while some others are awaiting approvals following their applications. Currently, our pipeline is solid and diversified, as we plan to introduce multiple games under new IPs and genres in 2019. These include SLG and MOBA games which we expect to have upside in terms of monetization. Our education business revenue increased by 21.9% year-over-year to RMB2,565.6 million on the back of strong execution and solid progress being made on all fronts. In overseas, we are pleased to see our subsidiary Promethean recorded revenue of RMB2,200.3 million, up 25.9% year-over-year. During the year, we sustained our growth momentum in our major markets across developed countries, particularly in the US and Europe. We also excelled on the back of the Belt and Road Initiatives as we continued to expand into new markets across emerging countries, including Egypt, Nigeria, Kenya and Malaysia. In addition, we completed the shipment of the sizable second phase tender of Moscow's multi-year Online School project as a part of its "Smart City" initiative. As a result, not only did Promethean strengthen its market leadership in K-12 interactive displays, but it also reported a net profit of RMB151.5 million in 2018, as compared to RMB5.0 million in 2017. We also made progress in building our learning community with our acquisition of Edmodo during the year. To date, the total users of Edmodo have exceeded 100 million in over 400,000 schools across more than 190 countries. Combining Edmodo with Promethean's interactive learning technologies, our comprehensive product portfolio will support the entire learning process, in and out of the classroom, including lesson preparation, lesson delivery, student collaboration, homework features, teacher-student-parent communications, education content marketplace and resources sharing. By capturing all the major use cases in K-12 learning, our complete product offerings will put us in a unique position to convert significant user traffic into massive monetization opportunities. In China, our strategy focus remained expanding user coverage and its traction was remarkable. As at the end of 2018, our flagship software platform 101 Education PPT in China reached 5.0 million installations, as compared to 1.2 million as at the end of 2017. Furthermore, our VR business scaled quickly on the back of rising demand of VR-related projects across China, driven by the country's objective to promote creativity. The Ministry of Education has also recently made VR a professional major, which has in turn laid the foundation for our future growth in this space. As a result of the growth in our VR business which entails higher gross margins, our China education business recorded a 13.6% increase in gross profit year-over-year. Looking forward, we expect to start the online service monetization in the second half of 2019 as we plan to launch our new online tutoring service on Edmodo. We are also excited that our new Promethean ActivPanel Element Series will accelerate cloud-based connectivity amongst students and teachers, which, together with Edmodo, will drive user engagement both in classrooms and at home. In China, we are also devising a strategy to start large-scale penetration of our Promethean offerings during the year. Our vision to revolutionize education with advanced technologies remains firm and clear. We are on a mission to create "the classrooms of the future" and we believe we are best positioned with our best-in-class learning products and technologies. 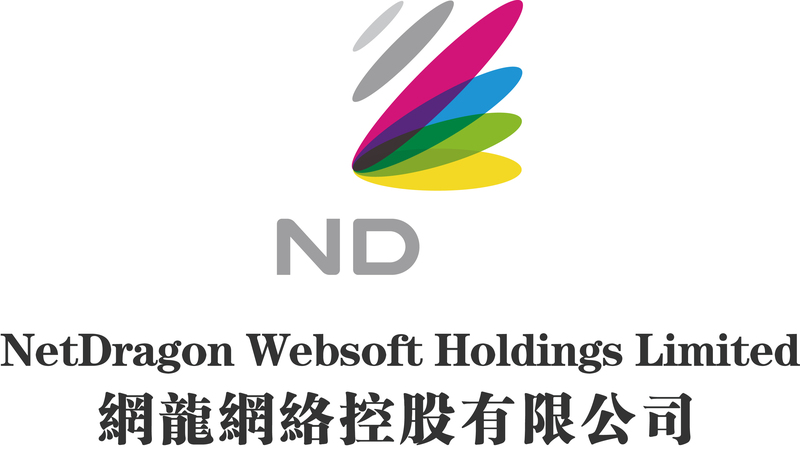 NetDragon Websoft Holdings Limited (HKSE: 0777) is a global leader in building internet communities with a long track record of developing and scaling multiple internet and mobile platforms that impact hundreds of millions of users. These include China's number one online gaming portal, 17173.com, and China's most influential smartphone app store platform, 91 Wireless, which was sold to Baidu for US$1.9 billion in 2013 as the largest Internet M&A transaction in China. Established in 1999, NetDragon is one of the most reputable and well-known online game developers in China with a history of successful game titles including Eudemons Online, Heroes Evolved and Conquer Online. In recent years, NetDragon has also started to scale its online education business on the back of management's vision to create the largest global online learning community, and to bring the "classroom of the future" to every school around the world.